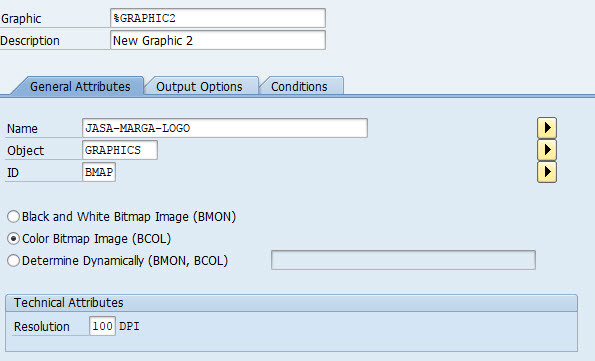 You can display any graphics or image in Smartforms by using transaction code SE78. Expand node of GRAPHICS and then double click on BMAP ( Bitmap Image ) , press F5 or click Menu Graphic->Import , to import an image. You need to check Reserve Height Automatically and Compression in Print Attributes. to add this graphic into your Transport Request you need to press Shift+F6 or go to menu Graphic->Transport . Now go to SMARTFORMS transaction code. Create new form or open your existing smartform. 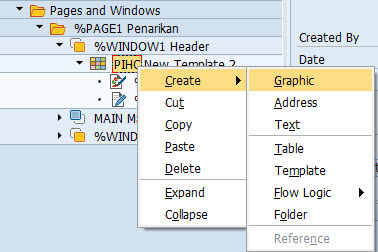 then expand PAGE1 then create new Windows, after windows was created the next step right click on windows then click Create->Graphic. The new screen will be displayed, on this screen you need to entered the name of image that’s you have uploaded before. 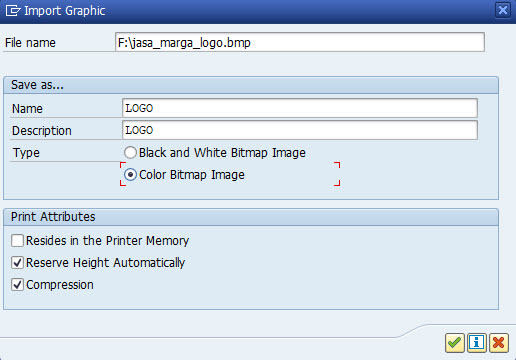 Select Color Bitmap Image ( BCOL ) if your image was color, then enter Resolution ( optional ) this is the size of your image will be displayed later, Activate then run your smartforms.